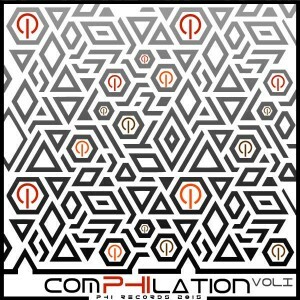 PHI Records proudly reaches for their electronic potential with Comphilation Vol. 1, an explosive introduction to the label’s broad range of styles featuring 11 fresh tunes for night-time journeying. With this gift PHI wants to say “hello” to all psychedelic freaks out there! You may be surprised at all the places you’ll go with this fine release; keep your mind open and enjoy the special ride! Mastered by Jonas Budassis with artwork by Sascha Sudeick. MP3 Download | FLAC Download | WAV Download · Download count: 17,603. Gastraxx please make more HI_TECH we need a full album!!!!!!! Perkins track is so nice, can’t really see the badness in it. Dunkelrob – Newscool. Fantastic track! Why can’t there be more stuffs like this? Musiclover: i am willing to bet your sound system just cannot handle the Perkins tune it has a fairly deep bass sitting around 32hz http://i.imgur.com/Id3LZGQ.jpg cheap speakers/laptop will not be able to play the song to its true potential, because trust me its a big one! The GastraxX track is also HUGE, killer hi-tech stuff going on; great release all around this. Absolute a great compilation. Love it!!! “Critical Taste – Desert Rain” my absoulut favorite on this comp. looove it! This is great immersive twilight & forest. I think the Perkins track does have a bit too much excessive bass boosting, but a lot of twilight is mastered this way. Whether it will muddy up the other elements depends on what kind of larger system you’re using, whether it tends to highlight the bass or has a flatter curve. The sounds in the track are still clean and hi-fi. There is a lot of care and sound layering in every track on this album.